I felt so lucky to be a part of this wedding. 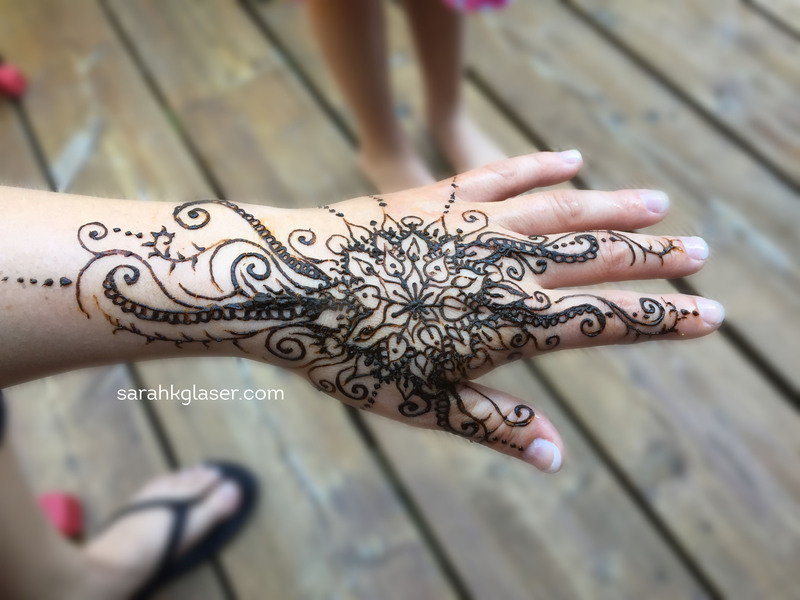 The wedding party had rented out a lovely cabin in Girdwood the night before, and I got to do henna on the bride, mother-in-law, step-daughter-to-be, friends, and bridesmaids. 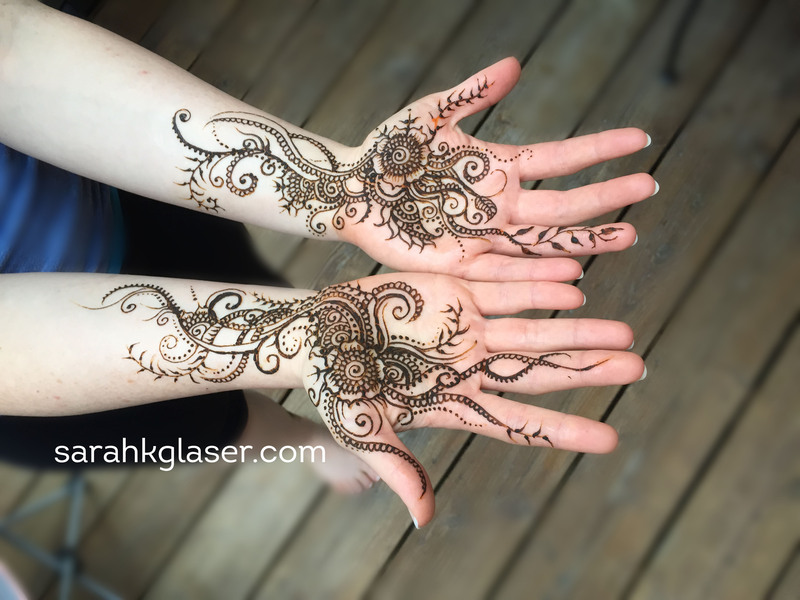 They wanted something different than traditional mendhi wedding henna, so I came up with individual designs for each person, including the lacy flowers pictured below for the bride-to-be. I’m positive that their ceremony was absolutely stunning, and felt honored to get to be part of such a wonderful group of women! 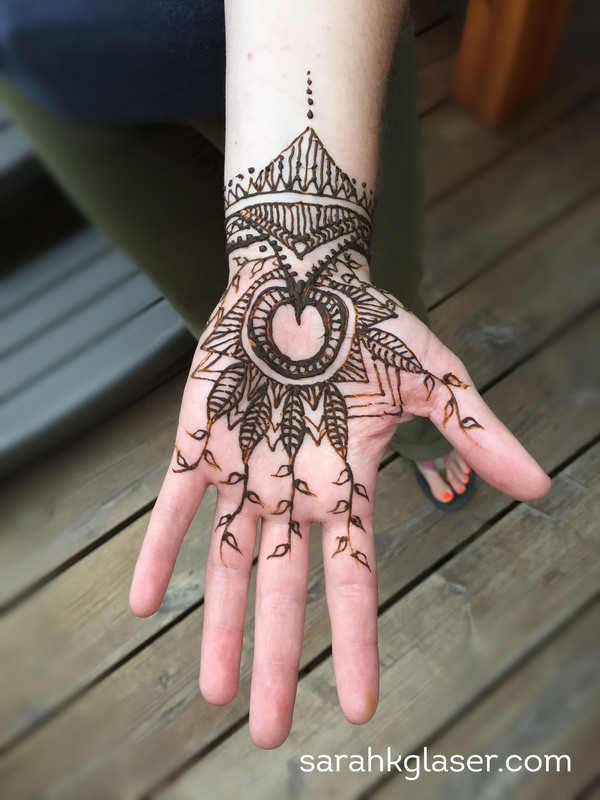 It is thought to bring good luck to the bride and the marriage; in some cultures, the mother-in-law will apply the first spot of henna to the brides’ hands as a blessing. 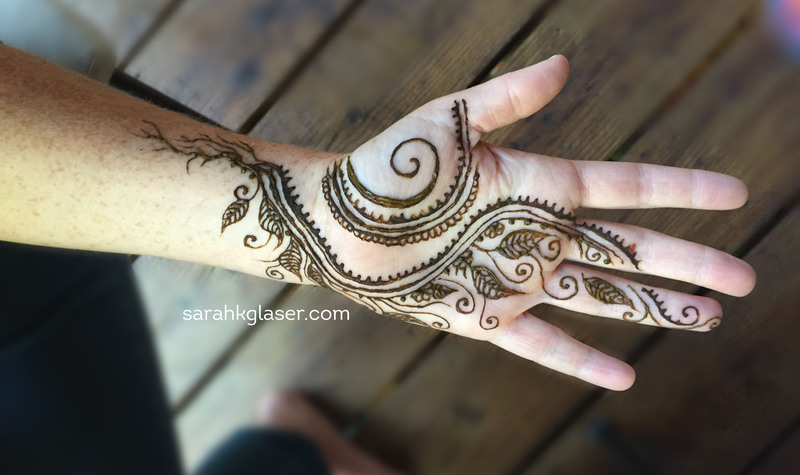 Apparently, the artist will often write the birds name in the intricate designs; if the husband can’t find the name the bride will “claim to rule the roost.” If the henna remains longer, the marriage is seen as luckier. While the bride has henna, she is able to abstain from any household chores. 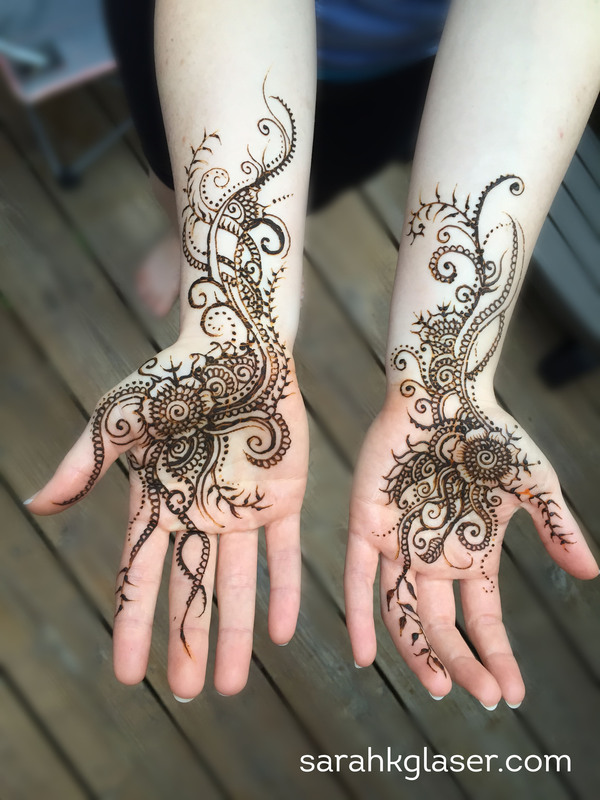 More about henna at this site. Sarah Elle on This is happening!